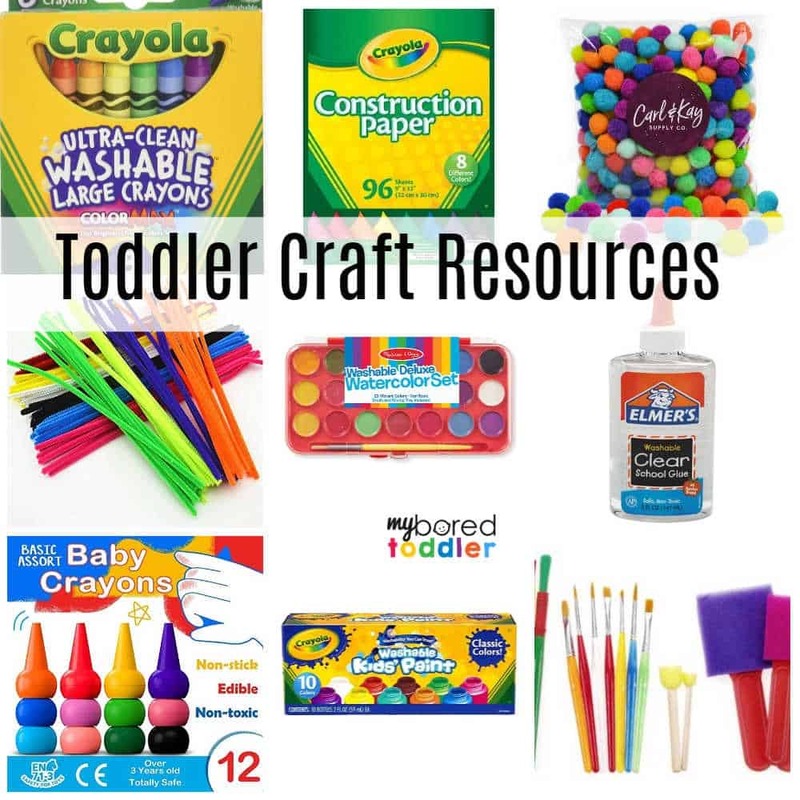 I’ve put together the ultimate list of toddler supplies (inexpensive and educational) so that you can easily keep your toddler busy! 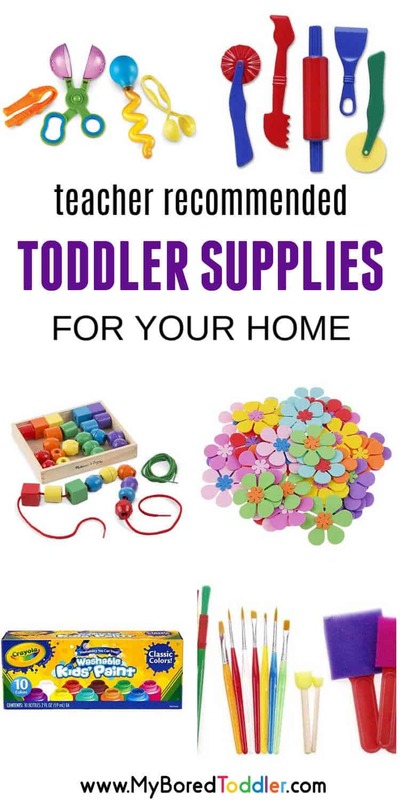 I’m often asked in our Facebook Group or over on Instagram about the resources parents should be buying for their toddlers. While there is an almost unlimited amount of toys and activities aimed at this age group, it’s really easy to find yourself with a very cluttered house, overflowing with toys and ‘stuff’ that is rarely used. It can also very easily cost you a lot of money. 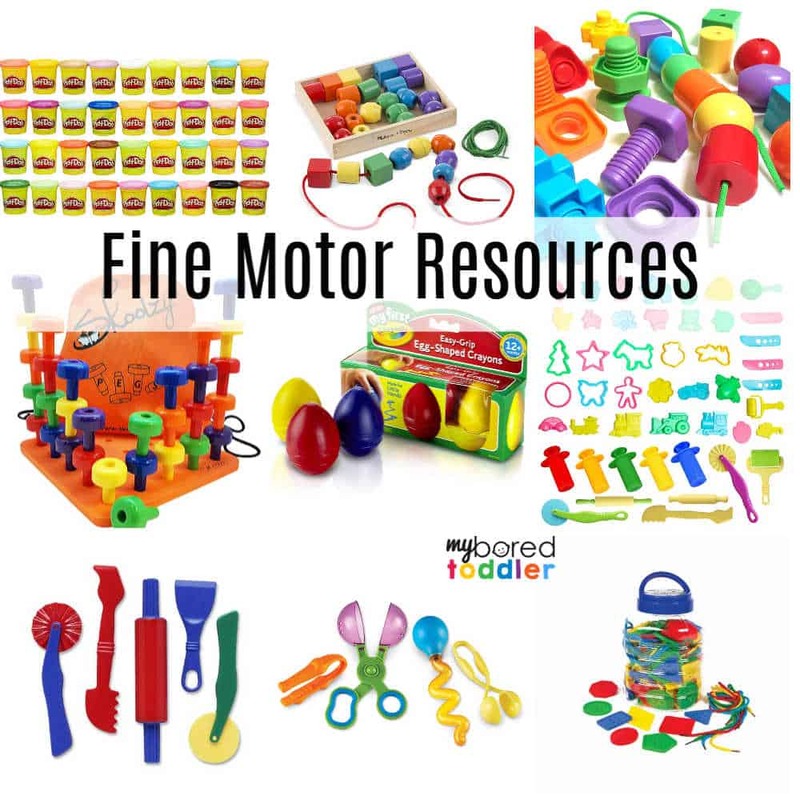 As an educator, I know that I tended to steer away from many of the items found in the toy aisles of the department stores and leaned towards items that I know you would find in an early learning environment. While you can still find many of these in the big stores, you’ll notice that most of the items I’ve listed aren’t huge (with a few exceptions), they don’t require batteries and most of them aren’t themed with the latest TV shows or movie characters etc. 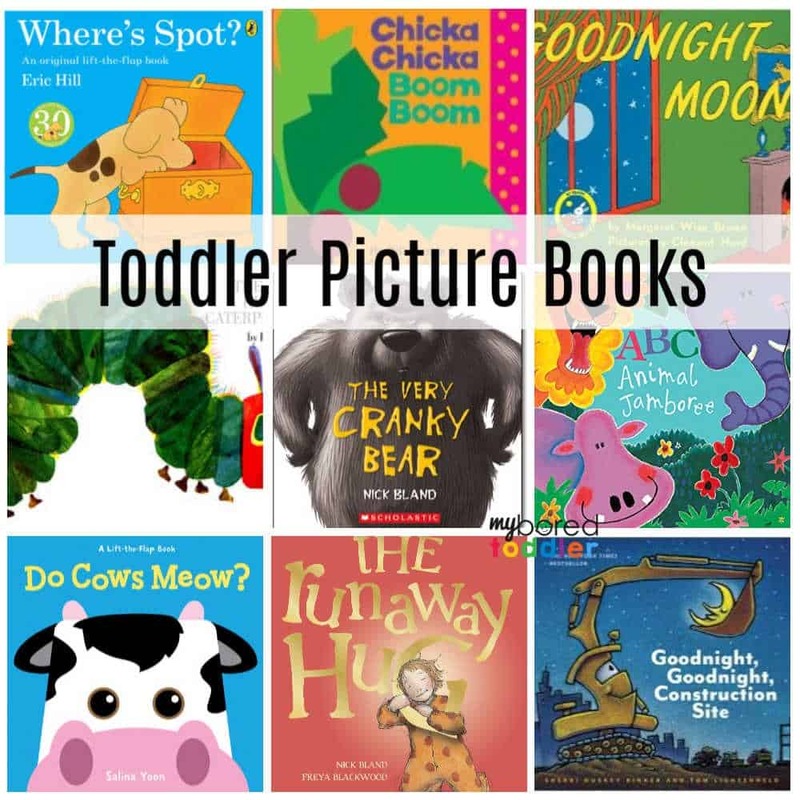 These resources are simple tools that have multiple uses. 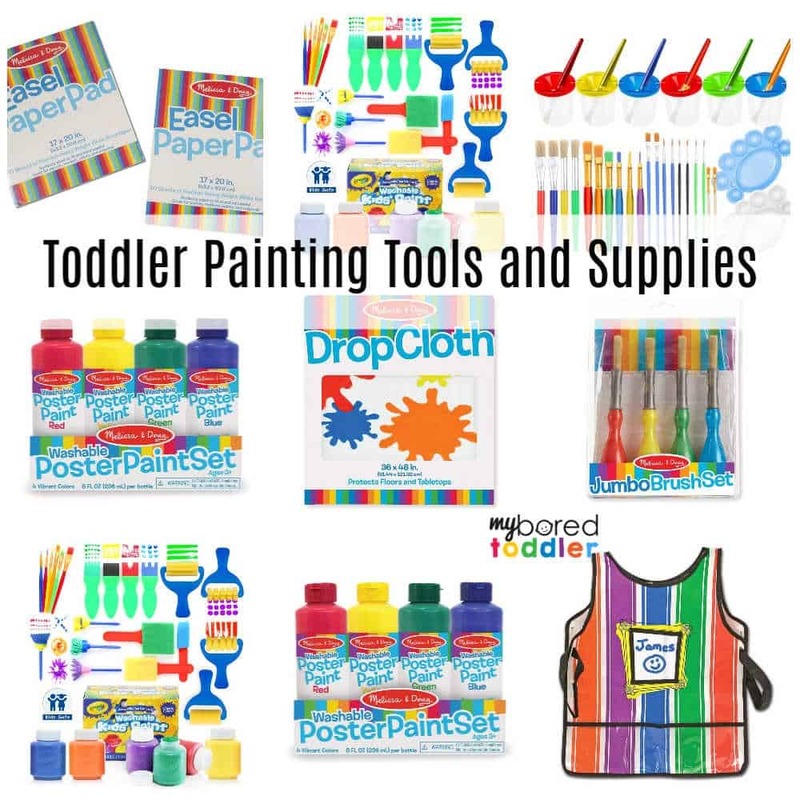 They can be repurposed and used in so many different activities. 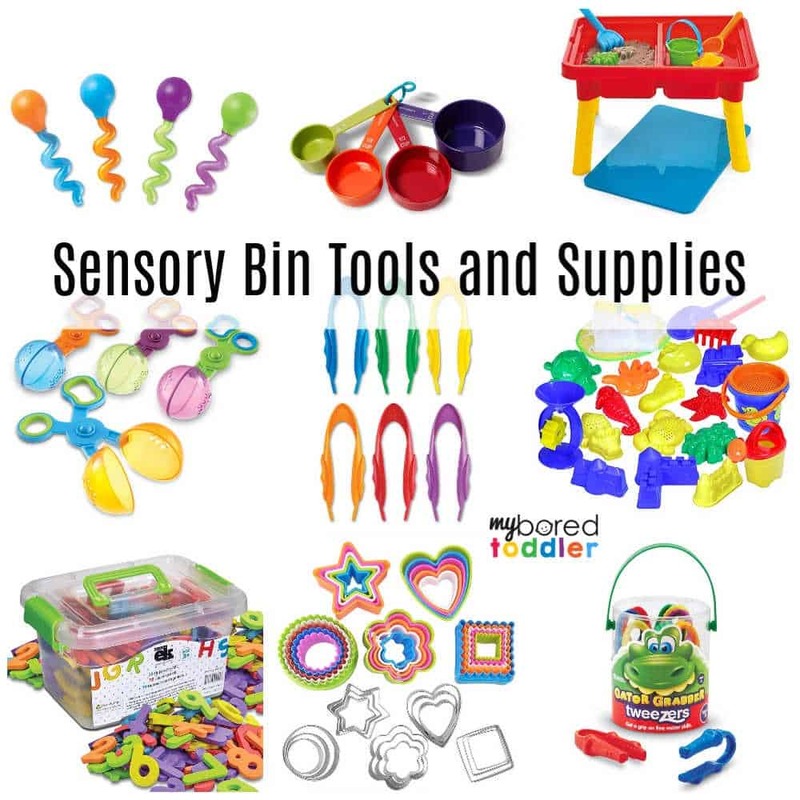 Sensory Bin Tools and Supplies – See them all HERE.